Saturday night Brett and I photographed the Women's Fund Gala in Northampton. We had a blast! All the volunteers did a great job sprucing up the hotel and everyone seemed to be having a great time. My favorite outfit of the evening was the lady in red. 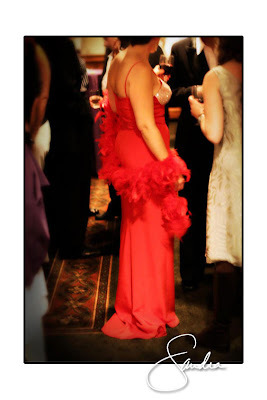 Kerry wore a vintage red dress with a sassy feather boa--she looked FABULOUS! 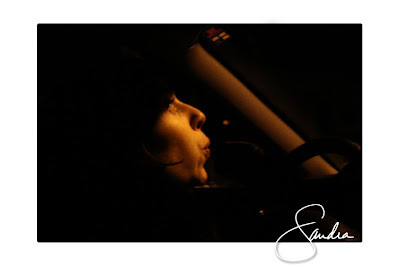 Brett took these very mysterious photos of me driving home. 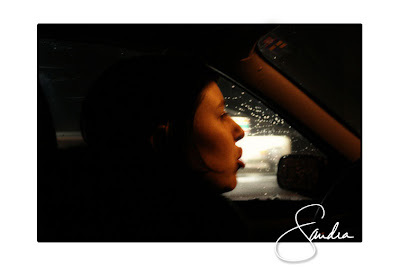 It was snowing and as you can see she had to catch the light just right...very mysterious.